1. I prefer to ask for forgiveness, not permission. 2. I don’t waste time wishing for things, instead I set about making them happen if they are important to me. 3. I can find comedy just about anywhere. What are you wearing right now, as you type this? An oversize t-shirt. That’s it. Hey, it’s nighttime! Don’t judge! What is the last item of clothing you bought? An exquisite camel hair Ralph Lauren blazer from Ebay. What is the item of clothing you most covet at the moment? Tell us about a favorite childhood memory about your clothes. We were raised on finding quality things at a bargain and the value of buying secondhand as a guiltless shopping experience. It taught us how to really look at the “bones” of a garment and hone-in on the good stuff. What is your best thrifting score? There have been MANY over the years. I found a vintage Evan Piccone evening dress at Goodwill when I lived in Seattle. It was perfect in every way; a long black column with a split, and a fitted bodice. The thing fit me so well I wore it for years when I worked on cruise ships. It was my go-to formal night uniform, and it cost me $10. 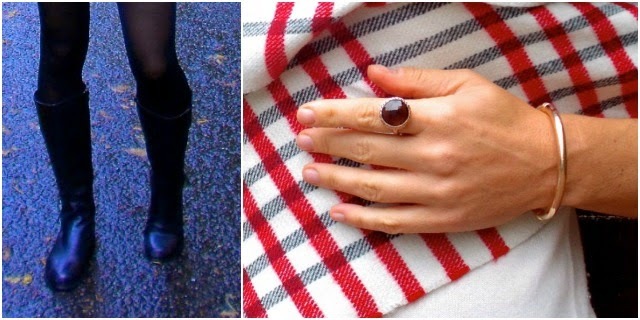 Could you tell us your top three style tricks/DIYs? 1. I’m a firm believer in taking one piece of jewellery or an accessory off before leaving the house. I think that was originally Coco Chanel’s advice, but it works. 2. I never go all-in: the painted nails AND the hair ironed or curled AND a lot of makeup AND…you get the point. I tend to focus on one or two things, max. 3. I love luxurious things (silk blouses, bouclé jackets, gemstones), but tend to style them down with things like distressed denim or even shorts to be able to wear them in the context of modern life. Would You Wear That If Nobody Else Did? 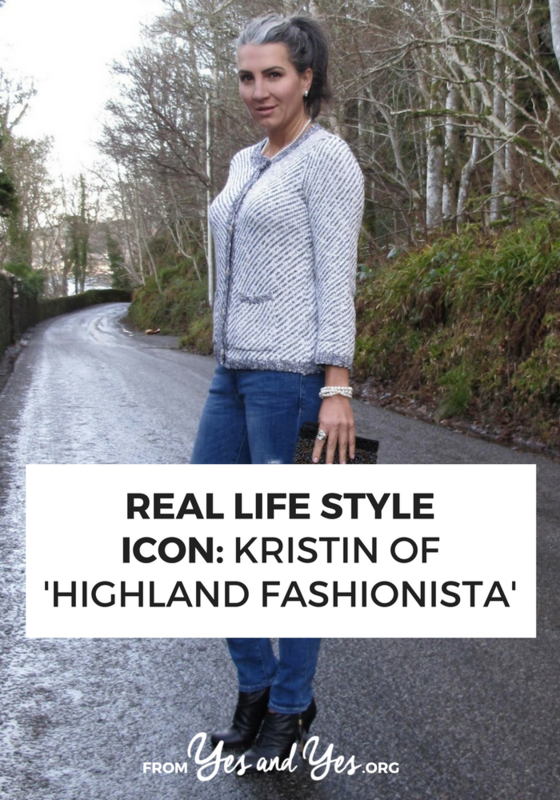 I love Kristin's unique take on chic style for women over 40. Thanks for featuring her. yes I like her style and blog! I admire her 'going to natural silvery gray hair' blog posts…I wish I had the guts to go Gray!